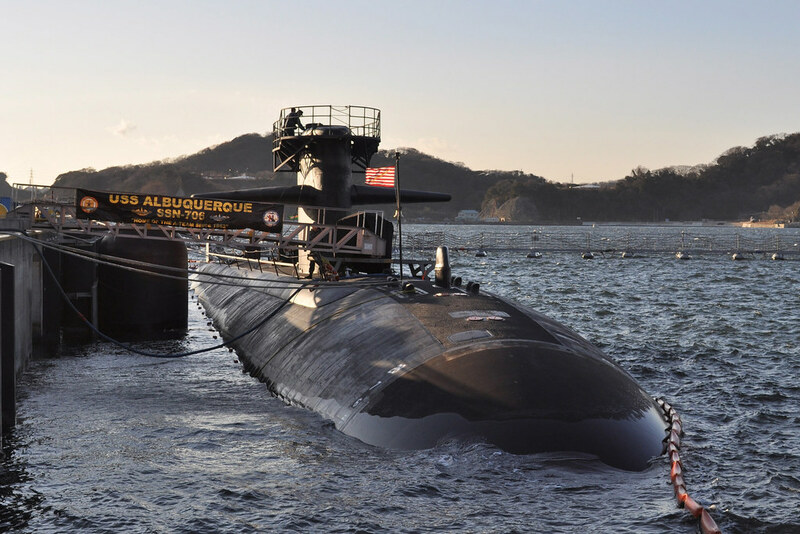 YOKOSUKA, Japan - The Los Angeles-class fast-attack submarine USS Albuquerque (SSN 706) arrived at Fleet Activites Yokosuka, Feb. 13 for a visit as part of its deployment to the Western Pacific. With a crew of approximately 140 Sailors, Albuquerque conducts a multitude of missions during the deployment in order to develop the crew's proficiency in forward-deployed operations and to enhance theater security cooperation. "Our presence in the region signifies the continued strong relationship between the United States and Japan," said Cmdr. Chris Cavanaugh, Albuquerque's commanding officer. "The crew is excited to experience the rich culture Japan has to offer." Measuring more than 360 feet long and weighing more than 6,900 tons when submerged, Albuquerque is one of the most technologically advanced submarines in the world. The ship is capable of supporting a multitude of missions including anti-submarine warfare, anti-surface ship warfare, precision strike, intelligence collection, and mine reconnaissance. Albuquerque is the second United States warship to be named after the city of Albuquerque, New Mexico. This submarine is home ported in San Diego, Ca.